SHIVA INDUSTRIES are offering Posters & Stickers. 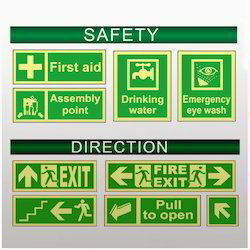 Shiva Industries are manufacturer of different kinds of safety poster in Hindi as well as English. 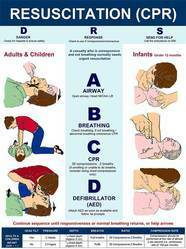 These First Aid Chart are made in various sizes and specifications. These charts are available in english and hindi languages made with either fiber board or sticker type. These charts are very essential for the survival in case if person gets injured. The steps given in this chart can be followed for basic treatment of the injured person. Shiva Industries providing a wide range of Safety Posters. These are ready to display, high quality made and carry the strong message of workplace safety to keep your working people remind about Workplace Safety. 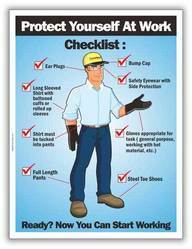 Our posters come to use by many organizations who wish to prompt and encourage its employees about safety at work. These Posters are useful for All types of Industries, Warehouses, office, factory, Constructions site, manufacturing unit, Production area, Company premises, outdoor Displays and Training centers, building or other workplaces. Looking for Posters & Stickers ?